New book, 321 pages. 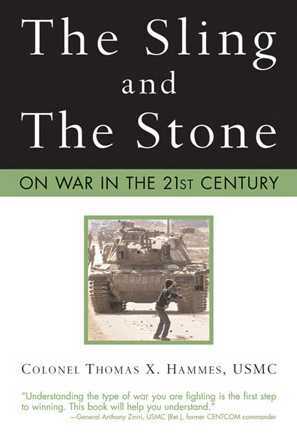 Written by Colonel Thomas X. Hammes, a career Marine Corps Officer, this book examines the evolution and current practice of low-tech, fourth generation warfare (4GW). It explains why 4GW does not attempt to win by defeating the enemies military forces, it is insurgency rooted in the fundamental precept that superior political will, when properly employed, can defeat greater economic and military power. It uses all available networks - political, economic, social, and military - to convince the enemy's political decision makers that their strategic goals are either unachievable ot too costly for the perceived benefit. The author discusses several examples of succesfull 4GW actions - Vietnam, Lebanon, Somalia, Afghanistan, Chechnya and Algeria. First defined by Mao, 4GW has evolved as each practitioner learned from his predecessors or co-combatants and refined its techniques.